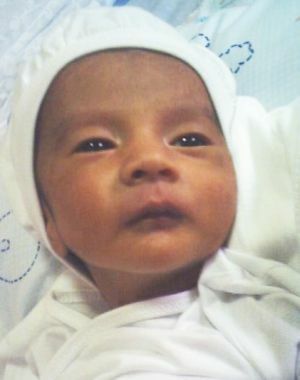 shown above is a picture of my just-born nephew, andre; taken by kuya, with his sap. 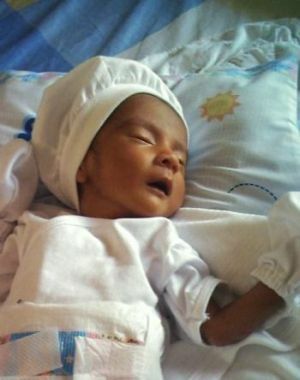 born september 26, though he still wasn’t due until the second week of november. weighed in at 3.52 lbs, spent 10 days in the incubator, and 9 days in the ICU. just got out of the hospital last thursday. updating the blog here in Laguna, in my diko‘s house (diko is andre’s dad). will also be posting new pictures of my other nephew and godson enzo, andre’s older brother’s pictures for mom, dad (in Guam) and ate (in Canada) to see. UPDATE: see andre awake here.